Note: All numbers are approximate and subject to revision. NanoSurface Cultureware provides your cells and tissues a biomimetic surface to improve the physiological relevance of your experiments. Shortly after plating, cells cultured on NanoSurface Cultureware exhibit enhanced structural and phenotypic development when compared to cells grown on conventional dishes. NanoSurface topography promotes cytoskeletal reorganization and cellular alignment by mimicking the structure of the extracellular matrix. 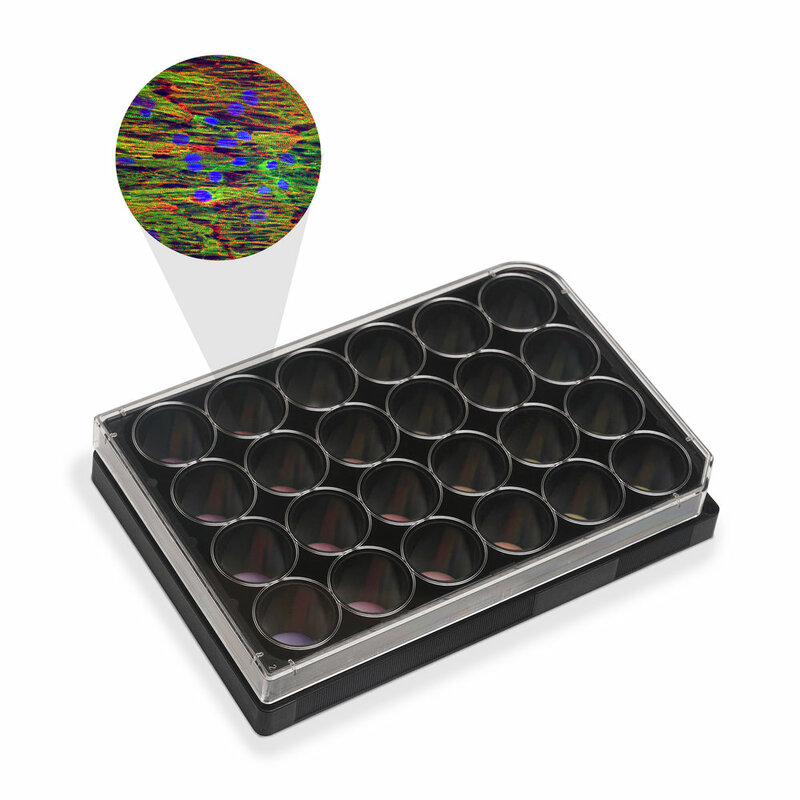 NanoSurface Cultureware is available in familiar standard formats, featuring glass-bottom wells for high-quality imaging. CDI iCell cardiomyocytes on a NanoSurface dish.